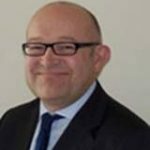 Brent has been an NHS executive director since 2005, having previously worked at City Hospitals Sunderland, NHS South of Tyne and Wear and South Tyneside NHS Foundation Trust. Prior to that he worked in local government. He is the vice-chair (and the Trust’s appointed director) of the Achieving Real Change in Communities CIC Ltd, the Durham and Tees Valley Community rehabilitation Company.